Hey guys, not posted on here before, well maybe once, as just don't get time (feeble excuse). 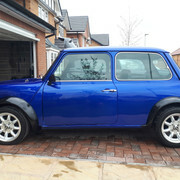 I bought this mini around 3 years ago already converted to a B16A2 Watsons framed mini, 12 months MOT all repairs work and conversion done but sadly no history of the build. Had it on the rollers at RS tuning and got it running 160HP with no smoking so the engine runs sweet. 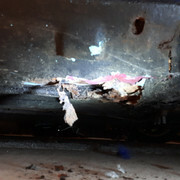 However, at the last MOT, the tester was able to peel away most of the underside of the car by hand as it has been poorly repaired using fibreglass and oversills. I've since moved house and so the mini has taken a back seat, however I wanted to get it fixed this year. 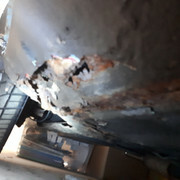 c) find a garage to do the repairs but its gonna be costly, I suspect a full floorpan is need. Keep it! you'd be kicking yourself later if you sold it as someone has already done the hard work by doing the conversion. Mini's love to throw these little problems up now and again! I'd say keep it, I've sold many in the past that I now regret but also depends on how much you like the car. For the welding work, its worth sending it to someone who knows what they're doing with minis. Run of the mill garages don't usually know the ins and outs of how the panels go together or experience and the welding work ends up in messy patches. Its a great looking car, I like the colour! Looking at it quickly, I'd suggest half floors each side and get it done properly but of course it needs to be poked around properly. Getting it professionally repaired would be expensive but it depends on your skills as to whether it's something you could fix as I suspect the more you dig the more you will find that needs fixing. 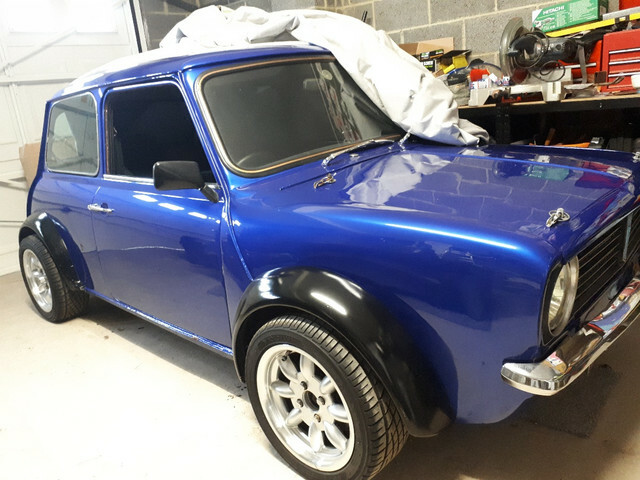 It may get to the point that pricing up a heritage shell might be worth considering (you can get a proper clubman shell rather than a converted round nose that you have and you'd be able to keep most of the inner wings etc). TBH I love the car. I'd owned minis for years but nothing to 'exotic', my last one about 10 years was a 1380 Mini GT, which was plenty and fast enough at the time. 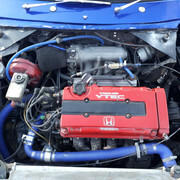 So first opportunity to buy a completed VTEC build I took, thought I'd done due diligence checks but clearly got caught out. 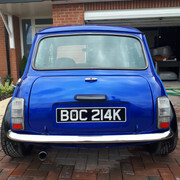 I have a mechanic friend who has rebuilt a few minis and has offered to help if I keep it. 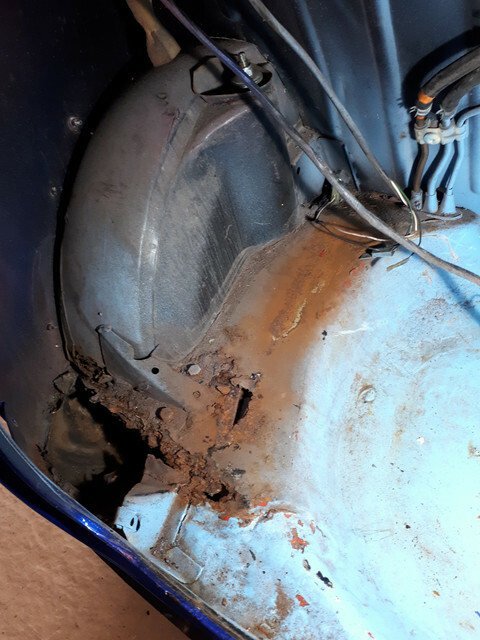 I took a few 'probing' stabs at the back end and managed to put my hand 'quite easily' through the soft boot floor so I think if I start chipping away, I may find a rust bucket underneath. I'll get it up on some stands, have a poke around and put some pics up of the damage, see what you guys think. It was not really the front end I was meaning, I was meaning the scuttle panel (between back of bonnet and windscreen) as in this shot the gutter of the scuttle panel looks full of filler. 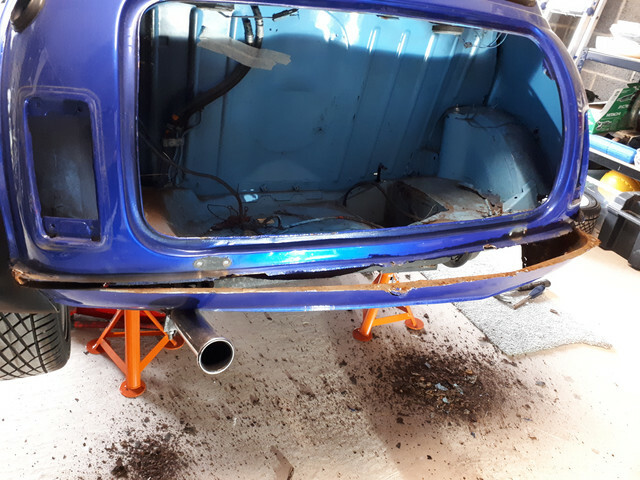 It may get to the point that pricing up a heritage shell might be worth considering (you can get a proper clubman shell rather than a converted round nose that you have and you'd be able to keep most of the inner wings etc). Don't pannic , have you got a garage and mig ? I'm mobile and have jobs booked up all around ! Yes I have garage space, one of the reasons we moved house tbh. Going start to strip it over the next few weekends and assess damage. 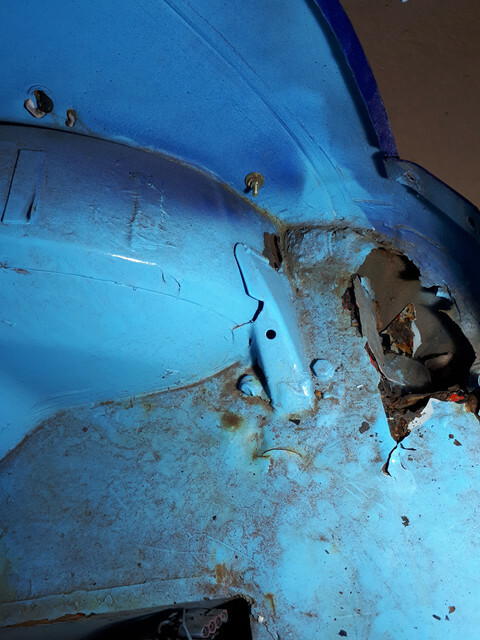 Your best bet would be to get a new scuttle and offer it up before you do any cutting, by the looks of things your going to need it and there’s not a great deal of extra metal that goes up the A panels on a replacement scuttle.